Apple iMac belongs to the all-in-one Macintosh desktop computers designed and built by Apple Inc. This primary desktop offerings had started from 1998 and evolved in seven phases. At the beginning egg-shaped iMac G3 came with CRT monitor than semicircular based G4 version released with LCD monitor on a freely moving arm. In third and fourth revision G5 & Intel version had slim unified design on a simple metal base that tilts only up and down. 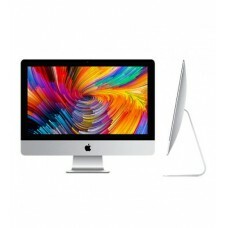 The fifth revision had thin anodized aluminum covered by a glass panel and the sixth one gets thinner at the edge with dual microphone setup & Apple Fusion Drive for HDD or SSD. 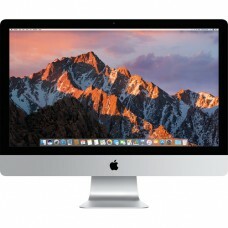 In 2014, company has introduced seventh revision having 27-inch retina 5K display with new processor & graphics chip. 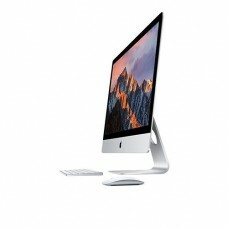 Star Tech has a rich collection that includes all the latest 27-inch 5K, 21-inch 4K retina display models with graphics & windows. 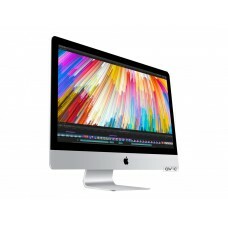 Unlike mac book pro these desktops have special capabilities to handle heavy workload for the business. Considering the price, we offer the best for the market of Dhaka, Chattagram, Rangpur, Khulna & Sylhet. 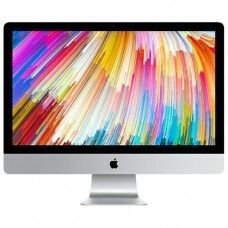 Choose your new iMac form our international standard eCommerce platform. You can easily compare and check the reviews of the models and select according to your requirement. Visit our retail shops to have exclusive advantages and EMI facility. Have the best deals for online purchase and have the delivery at any location inside Bangladesh.